Windows are a valuable part of any home. Windows are great features for allowing natural light to fill the rooms, creating the warm and inviting atmosphere that you always imagined for your dream home. Windows should also protect your home from the outside elements and be able to withstand severe weather in any climate. These Low E windows can do all of this while living in a more environmentally friendly home! Southland Custom Homes is always looking for ways to build a greener home. With so many custom options to choose from, you can find the perfect fit for your family and lifestyle. We use YKK® windows to add a touch of style and make your home more energy efficient. These attractive windows are made to last and require very little maintenance. They offer a wide sash, deep profile brickmould and a true sill that gives the appearance of wood, without the usual wear and tear. You can be proud to live in a beautiful custom designed home made with materials that help protect the environment and your budget. Low E stands for low emissivity, meaning that these windows are designed to help insulate your home to keep heating and cooling costs down. These windows are made from two or more separate pieces of glass instead of one. The pieces of glass are placed together with a small amount of air space left between them to help regulate the temperature. The air space between the glass acts as added insulation and keeps heat in during the winter and out during the summer. With low emissivity glass, your home will stay at a comfortable temperature without the extra heating and cooling costs. 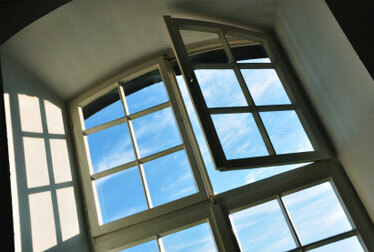 The sunlight that comes in your windows helps keep your home looking bright and feeling more open. What you might not know is that the sun's rays contain three different types of light, visible light, UV rays and infrared light. Visible light allows us to see and brightens up the room. The other types of light can cause damage to your home if it is not properly protected. UV rays can be harmful to your skin, wood surfaces and furniture. UV rays may also cause colors to fade if they are exposed to lots of sunlight. Infrared rays are the third type of light and are responsible for the extra heat in your home. Low E glass allows the visible light to enter the room, but blocks out much of the UV and infrared light. Thanks to this new technology, you can keep your home cooler and your colored surfaces protected without sacrificing any of the natural light that you enjoy. At Southland Custom Homes, our goal is to build high quality custom homes that meet the needs of every family. We also strive to construct your dream home using materials that are friendly to the environment and help you cut back on energy costs. Our Low E window options are an attractive and affordable way to make a positive impact on your community and to keep your new home looking great. For more information about our custom green options, contact Southland Custom Homes at 1-866-56-BUILD or visit our website at www.southlandcustomhomes.com.